The vertical drop from summit to base is 4068 ft. The average difference in altitude between base and summit of Ski Resorts in Austria is 2392 ft. Most runs are therefore relatively long. The ski resort takes you to an elevation of 6496 ft. Snow Space Salzburg (Flachau - Wagrain - Alpendorf) is among the 15 best rated Ski Resorts in Austria. Average snow depth during the season (Dec 1 to Apr 22) is 54 " at summit elevation and 24 " at base elevation. Snow coverage is usually best during February, offering an average snow depth of 69 " at summit elevation and 33 " at the base. Therefore Snow Space Salzburg (Flachau - Wagrain - Alpendorf) is among the 10 ski Resorts with best snow conditions in Salzburg. 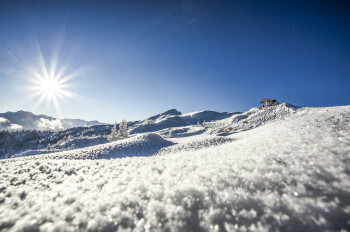 Snow Space Salzburg (Flachau - Wagrain - Alpendorf) features 61 sunny days on average per season. The average for all ski Resorts in Austria is 59 sunny days. April is the sunniest month with an average of 18 sunny days. This makes the ski resort one of the 10 sunniest in Salzburg. Offering 74 miles of slopes and terrain, Snow Space Salzburg (Flachau - Wagrain - Alpendorf) is among the 15 largest Ski Resorts in Austria. 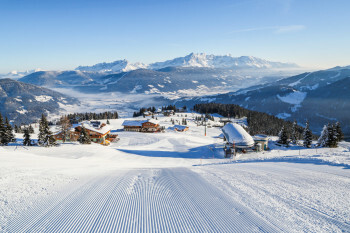 The three top ski areas of Alpendorf, Flachau and Wagrain were merged into one becoming the so-called Snow Space Salzburg. Its slogan “Best of Mountains" implies that Snow Space Salzburg is a 3-in-1 ski resort offering the best possible mountain conditions as well as a great variety of slopes and lifts. Hence, it is another great destination for tourists to fly in every winter to hit the slopes. Snow Space Salzburg is part of Austria's Ski Amadé network, which comprises five regions equaling a total of 25 ski resorts, 270 lifts and 760 km of marked pistes. 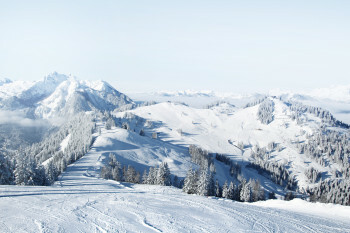 Flachau is considered to be some of the best skiing in Austria. Home of the Austrian downhill skier Hermann Maier, it is also one of the resorts where the professionals go to play. 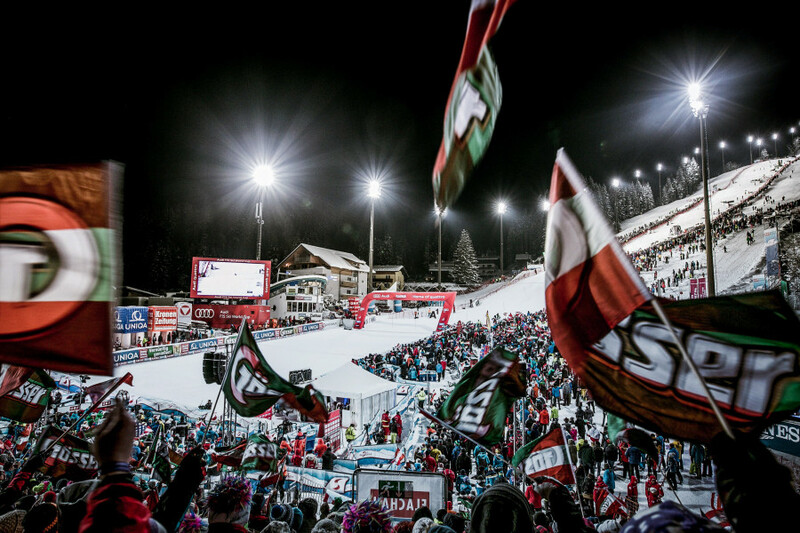 Being part of the Ski Amadé, Flachau is popular among families, who love to enjoy about 56 km of pistes. 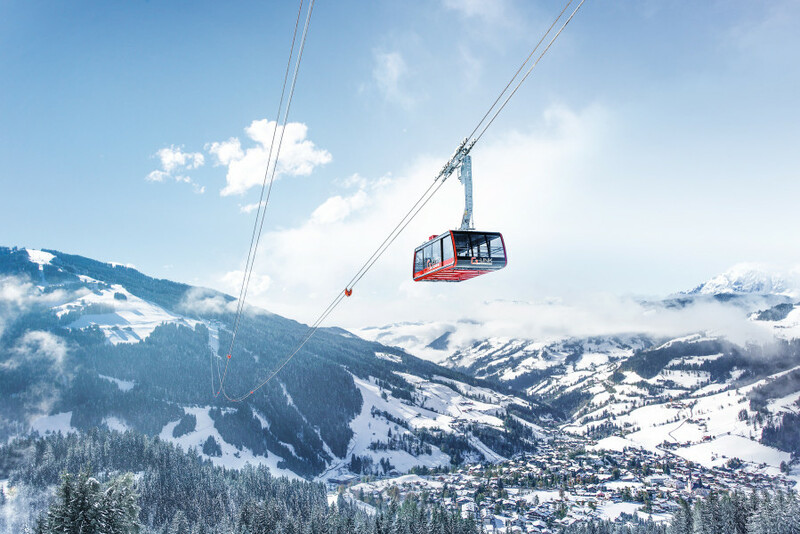 Three base stations carry their passengers and fans of winter sports high up to an altitude of 1.887 m. There are plenty of slopes to explore for kids and beginners, such as piggyjet and dinojet. Once mastered, feel free to check out starjet 2 or spacejet 3. 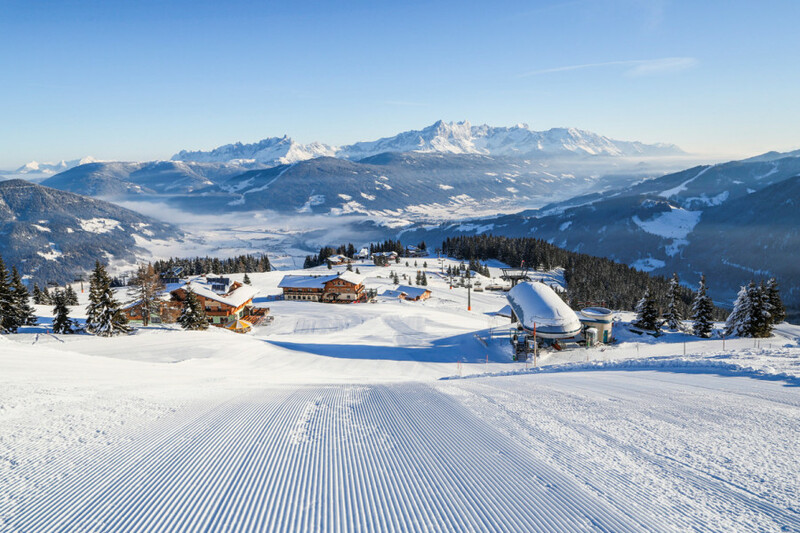 The majority of Flachau's terrain offers slopes for advanced skiers, who will defnitely enjoy some neat carving sessions. Whoever is up for real challenges should head to the World Cup downhill or go check out their personal best time. About 40 km of slopes are to find at Wagrain. The ski resort of the bustling market town consists of the two mountains Grießenkareck and Grafenberg, which are linked by the G-LINK ropeway. Beginners will be happy on the slopes next to the valley area of Grießenkareck. True ski novices feel at ease at WAGRAINI's Winterwelt. Upper parts of the mountain are reserved for more advanced skiers; real pros are in good hands on Mulde at Top Liner. The ascent up the mountain pays off especially on Fridays, as a drive-in for massages is offered at an altitude of 1.702 m.
St. Johann Alpendorf focuses on the advanced and expert levels of skiers and snowboarders, as most of the 28 km of pistes are marked red. Notwithstanding, families with kids or beginners get their money's worth at Alpendorf. Despite several beginner trails, there are also some diamond runs, such as Hexenschuss, Schlangengrube and Habergeiss-Ritt, which constitute the “Trio Infernale". 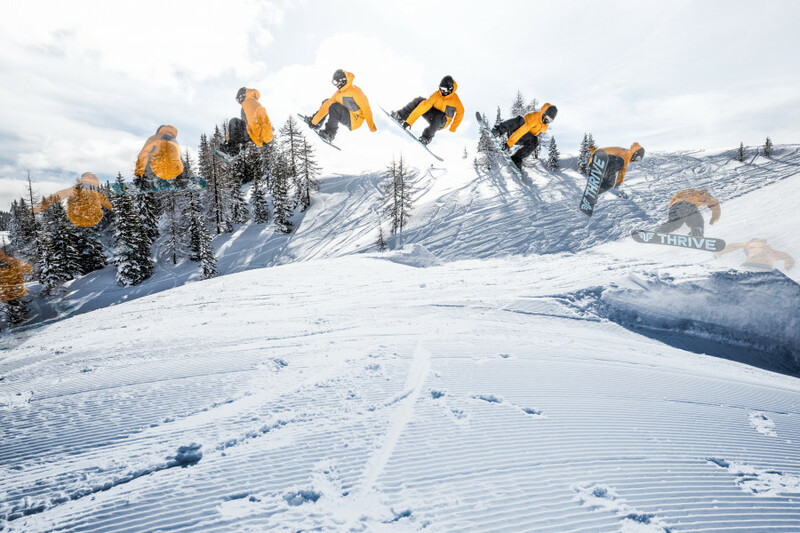 Betterpark is the place for local snowboarders and freestyle skiers. Both its lines with its varying levels of difficulty offer plenty of space and opportunities for beginners and experts alike to test out their abilities. © Bergbahnen Flachau GmbH Austria's biggest winter sports playground is a snow-sure destination par excellence. Owing to its snowmaking machine system, Snow Space Salzburg is a snow-sure destination par excellence. If temperature and air humidity are adequate to requirements, it is possible to cover the whole ski resort with artificial snow within 72 hours. The required amount of water is provided by local reservoir ponds. © Bergbahnen Flachau GmbH Numerous mountain huts and restaurants are located alongside the slopes at Snow Space Salzburg. For those who are always on the go and in a rush, we recommend a pit stop at Purzelbaum Alm or Schonzeit. All winter sports addicts who adore a modern lounge atmosphere should head to Lisa Alm at spacejet 2. In contrast, Pfeiffei Alm at starjet 1 practices the good old-fashioned and rustic way and is also worth a visit or two. 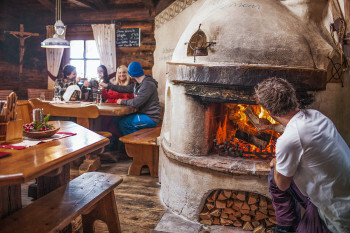 More than 20 mountain huts and restaurants in stock at Wagrain ensure that not a single skier or snowboarder will ever starve or complain about not finding anything to eat or snack. You are into great views of slopes and overall surroundings? Gipfelstadl at Grießenkareck is your venue of choice then. Lovers of spare ribs will be all smiles at Wagrainerhaus at Kogelalmbahn. Berggasthof Höllenstein at Grafenbergbahn is mostly serving traditional Austrian dishes. Buchauhütte offers a huge terrace with great views of the slopes. Get some rest catching some tickling sun beams in one of its numerous deck chairs. Families with kids are well served at Kreistenalm, where parents are able to fully enjoy their lunch, while their kids are entertained at the restaurant's kids' world. True foodies head for Oberforsthofalm at Gernkogelbahn base station treating themselves to some fine food. Hermann Maier's World Cup run definitely is Flachau's undisputed highlight. 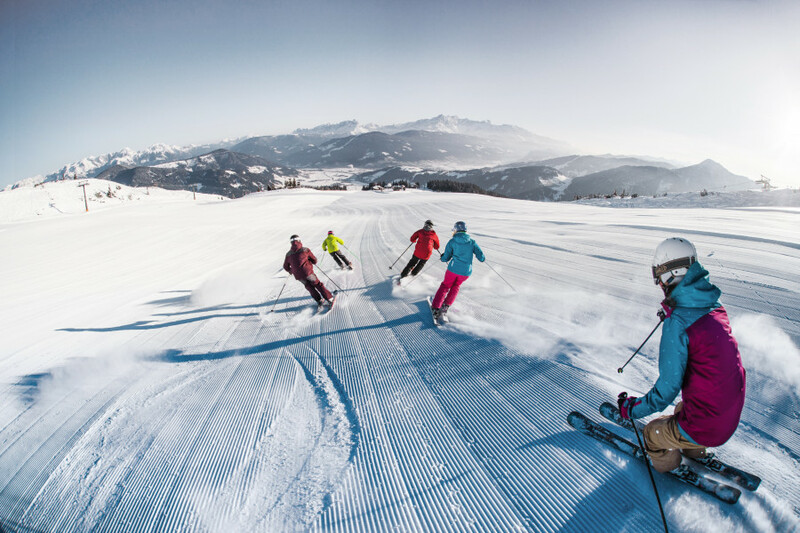 The major challenge awaits its expert skiers at Wagrain: Mulde at Top Liner with its 233 m difference in altitude at a length of no more than 800 m.
Five different toboggan runs make for tons of fun and action. Popular among visitors of all age groups is the Alpine Coaster “Lucky Flitzer" with a track length of 1.1 km. Plenty of features, such as jumps, bends and waves, make for a breathtaking experience and descent down into the valley. Moreover, you may want to check out winter hiking horse-drawn sleigh rides or do some curling. However, after a day in the cold snow, a different kind of therapy may be needed: a visit to the spa Amadé. Baths, saunas and several rest areas are a blessing for tired muscles and limbs. Over 20 km of winter hiking trails enjoy great popularity among the young and the old. Snowshoeing is another great option to spend the day with. If you are more into thrills and speeds, a ride with one of its three toboggan runs is your activity of choice. In case you always wanted to give ice skating a try, exchange your skis for ice skates after a long day of skiing and “go for a spin“ on the floodlit ice rink. Allow yourself to enjoy some relaxation at Wasserwelt Wagrain, its baths and pools, saunas and numerous water slides. As toboggan runs seem to be quite popular at Snow Space Salzburg, St. Johann Alpendorf likewise offers two toboggan runs and thus makes for true sledding fun. The partly lighted natural toboggan run Alpendorf leads from Hotel Alpenhof to Oberforsthofalm. Partly lighted as well yet 2 km longer than the Alpendorf run is the natural toboggan run Hahnbaum leading from Hahnbaumalm to the Waldschimmbad. Visitors also get the chance to try out some ice skating in the town center. Another recommendation is a visit to Gorge Liechtenstein, which is one of the deepest and longest ravines in the Alps. ©Flachau Tourismus, Foto: Ulrich Grill, zooom productions GmbH Things are really happening in Flachau and people are going out to paint the town red there: Clubs, pubs, and bars will cater for your needs. It goes without saying and without a doubt that things are really happening in Flachau and people are going out to paint the town red there. Regardless of whether you want to spend the night in a bar and warm yourself up with juicy cocktails or whether you are ready to dance the night away: Clubs, pubs and bars will cater for your needs. Right next to the base stations you will find Dampfkessel (spacejet 1), Fliegenpilz (achterjet) or Hofstadl (starjet 1). Afterwards, night owls head to Ema's Pub, Yeti's Partyhouse or Almrausch. In Wagrain, Kuhstall and AlmMonte at the base station Flying Mozart will answer your expectations of a great night out with friends still being in your ski gear. If you are into cocktails and dancing, you should pay a visit to Riverside and Tenne. In contrast to Flachau and Wagrain, Alpendorf is quite calm and definitely centers on the mountain hut events during the day. Whoever is into traditional Austrian fare should stop by at Restaurant Possruck or Berggasthof Sattelbauer in Flachau as well as at Grafenwirt in Wagrain. Another culinary highlight is Alte Schmiede in Wagrain. Almost everything from steaks to spare ribs to fondue is what hungry visitors will eat here with relish. Verwöhnhotel Berghof in Alpendorf offers both delicious dishes and a terrace with great views. All three regions of the Snow Space Salzburg ski area can be easily reached by car via freeway A10. To get to Flachau, you exit the A10 at Flachau und follow the signs to the base station. In case you'd like to go to Wagrain, keep on following the B163 after you did exit the freeway at Flachau. If St. Johann Alpendorf is where you'd like to start your ski trip, exit the freeway A10 at Knoten Pongau and follow the B311 via Bischofshofen to St. Johann. I am looking for a snowboardinstructor in Flachau. Any tip ?? One of the less expensive resorts in Austria. It provides enough runs to have fun for two or three days.